Premium 'Happy Birthday' card featuring diagonal design and hand drawn type. 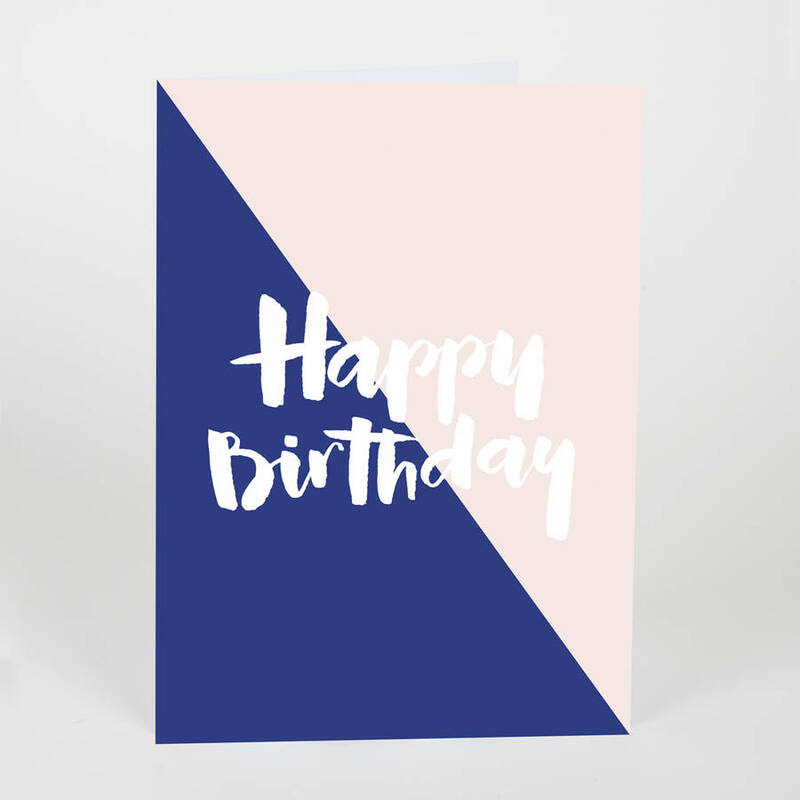 Send well wishes, with our 'Happy Birthday' greetings card. Produced on premium art card, each design is blank inside for you to compose your own message. Please note there is currently a minimum wait of 14 days for delivery of this product.